Fish are hung on a spring scale to determine their mass. (a) What is the force constant of the spring in such a scale if it the spring stretches 8.00 cm for a 10.0 kg load? 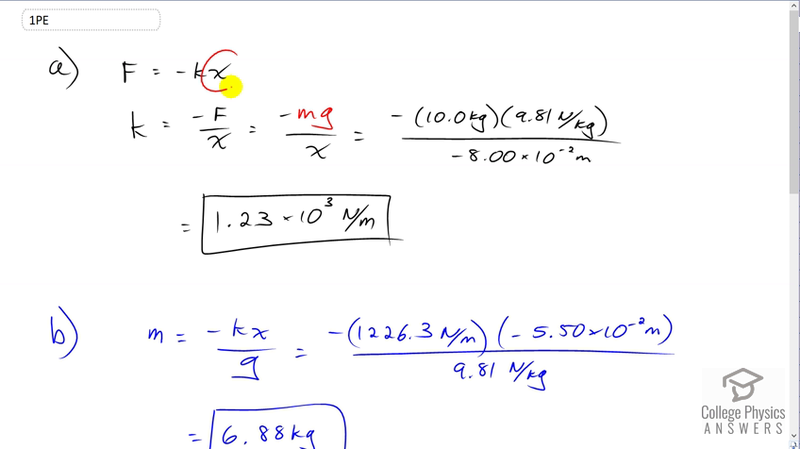 (b) What is the mass of a fish that stretches the spring 5.50 cm?